In a domain that is configured to use the File Replication Service, the SYSVOL folder is not shared after you in-place upgrade a Windows Server 2019-based Domain Controller from an earlier version of Windows. Until this directory is shared, Domain Controllers do not respond to DCLOCATOR requests for LDAP, Kerberos, and other Domain Controller workloads. 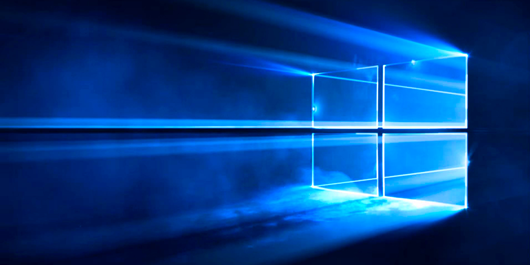 In a domain that uses the legacy File Replication Service(NTFRS) for the Active Directory System Volume (SYSVOL), you in-place upgrade a Domain Controller to Windows Server 2019. All Windows Server 2019-based Domain Controllers in the domain stop sharing the SYSVOL folder and stop responding to DCLOCATOR requests. <Computer name> (‘Start’) – Writable DC Migration has not yet reached a consistent state on all domain controllers. State information might be stale due to Active Directory Domain Services latency. The File Replication Service (FRS) was deprecated in Windows Server 2008 R2 and is included in later operating system releases for backwards compatibility only. However, in-place upgrading a Windows Server 2012 R2 or Windows Server 2016-based Domain Controller to Windows Server 2019 does not enforce this block. When you then run dfsrmig.exe /SetGlobalState to migrate SYSVOL replication to DFSR, all upgraded Windows Server 2019 Domain Controllers are stuck in the Start phase and cannot complete the transition to the Prepared or later phases. Therefore, the SYSVOL and NETLOGON folders for the Domain Controllers are no longer shared, and the Domain Controllers stop responding to location questions from clients in the domain. There are several workarounds for this issue, depending on which migration global state you specified earlier. Wait for Active Directory replication to propagate throughout the domain, and for the state of Windows Server 2019 Domain Controllers to revert to the Start phase. Verify that SYSVOL is shared on those Domain Controllers and that SYSVOL is replicating as usual again by using NTFRS. Make sure that at least one Windows Server 2008 R2, Windows Server 2012 R2, or Windows Server 2016-based Domain Controller exists in that domain. 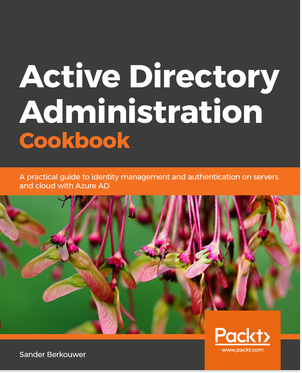 Verify all Active Directory partitions and the files in the SYSVOL are fully sourced from one or more source Domain Controllers and that they are replicating Active Directory as usual before you demote all of your Windows Server 2019 Domain Controllers in the next step. For more information, see Troubleshooting Active Directory Replication Problems. Demote all Windows Server 2019-based Domain Controllers to member servers. This is a temporary step. Migrate SYSVOL to DFSR normally on the remaining Windows Server 2008 R2, Windows Server 2012 R2, and Windows Server 2016 Domain Controllers. Re-promote the Windows Server 2019-based member servers to Domain Controllers. The FRS elimination phase cannot be rolled back by using dfsrmig.exe. If have already specified FRS elimination, you can use either of the following workarounds. If you still have one or more Windows Server 2008 R2, Windows Server 2012 R2, or Windows Server 2016-based Domain Controllers in that domain, verify all Active Directory partitions and the files in the SYSVOL are fully sourced from one or more source Domain Controllers and that they are replicating Active Directory as usual before you demote all of your Windows Server 2019 Domain Controllers in the next step. For more information, see Troubleshooting Active Directory Replication Problems. Demote all Windows Server 2019-based Domain Controllers. Migrate SYSVOL to DFSR as usual on the remaining Windows Server 2008 R2, Windows Server 2012 R2, and Windows Server 2016 Domain Controllers. Wait for Active Directory replication to propagate throughout the domain. Verify that SYSVOL has shared on those Domain Controllers and that SYSVOL is replicating as usual again by using FRS. Promote one or more Windows Server 2008 R2, Windows Server 2012 R2, or Windows Server 2016-based Domain Controller in that domain. Verify all Active Directory partitions and the files in the SYSVOL are fully sourced from one or more source Domain Controllers and that they are replicating Active Directory as usual before you demote all of your Windows Server 2019 Domain Controllers in the next step. For more information, see Troubleshooting Active Directory Replication Problems. Migrate SYSVOL to DFSR as usual on the remaining Windows Server 2008 R2, Windows Server 2012 R2, and Windows Server 2016-based Domain Controllers. Optional: Demote the Windows Server 2008 R2, Windows Server 2012 R2, or Windows Server 2016-based Domain Controllers that you added in step 7. NTFRS is an old technology, but many organizations still seem to cling onto it. It’s not hard to migrate, but it just needs to be done. We’ve been putting this tasks on agendas of Active Directory admins for a while now, but regret seeing that this slight code defect means admins that haven’t performed this action yet, may now start experiencing troubles. Troubleshooting NTFRS without burflags? Wow.